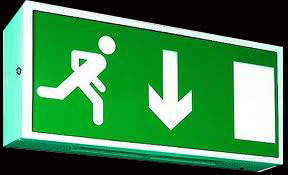 ADELAIDE HILLS FIREWATCH provides maintenance services for exit & emergency lighting systems. In accordance with Australian Standards 2293.2 emergency lighting systems are required to be certified periodically by conducting a 90 minute battery power down (discharge) test. This test certifies that all the exit & emergency lights are functional and batteries sustain their charge for 90 minutes during a power black out or building fire. We offer a full backup service where the light fittings can be tested, maintained and repaired in the field.